I blog regularly at the Guardian Science Blogs network and have written for publications aimed at a broader readership, including articles in HerStoria Magazine, Endeavour and BBC History Magazine (PDF). I acted as a specialist consultant for The Aeronauts (Amazon Studios, Mandeville Films, 2019), inspired by the ballooning exploits and meteorology of James Glaisher, played by Eddie Redmayne. Ships, Clocks & Stars, an exhibition I co-curated on the search for a means of finding longitude at sea in the 18th and 19th centuries, was at the National Maritime Museum from July 2014 to January 2015. It is currently touring in the US (Folger Library and Mystic Seaport) and Australia. Earlier projects included the NMM’s major 2012 Royal River temporary exhibition and small displays at the Royal Observatory, Greenwich, such as 2009’s Solar Story and 2012’s Measuring the Universe. I was also involved in various redisplays in the permanent galleries at the Royal Observatory Greenwich. Publications undertaken for the Royal Museums Greenwich include the Royal Observatory Greenwich Souvenir Guide (2011), on which I was lead author and editor, and the exhibition catalogue Royal River: Power, Pageantry and the Thames (2012), in which I wrote several catalogue entries and section introductions. 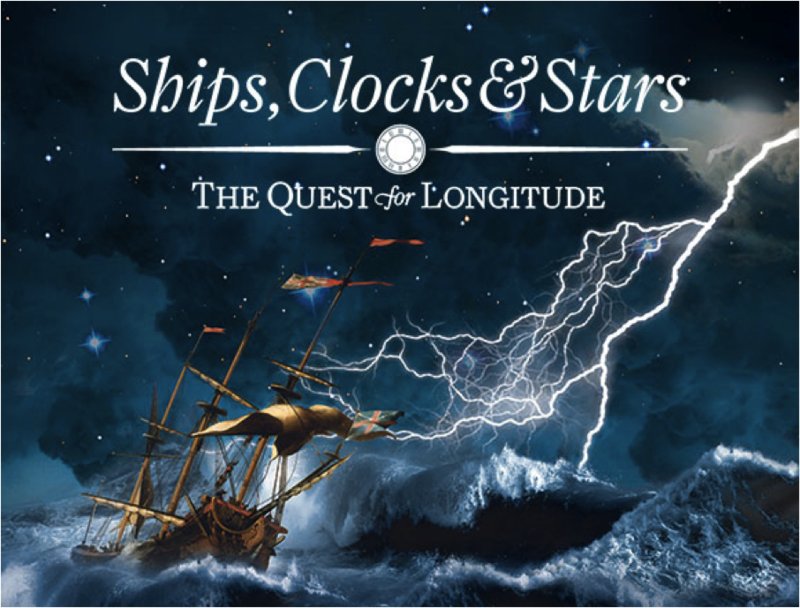 Published in June 2014 was Finding Longitude a book co-written with Richard Dunn on the history of longitude, accompanying the Ships, Clocks & Stars exhibition. “Longitude Found!“, my talk at the Isaac Newton Institute for the Cambridge Science Festival on 21 March 2015. “Hero or villain? Nevil Maskelyne’s posthumous reputation“, a lecture given at the Royal Society on 20 April 2012. I discuss some of the history of solar observation at the Royal Observatory in a video for the Solar Stormwatch project. I focused on my doctoral research for the Enlightening Science project, talking about 18th and 19th-century biographies of Newton. Alice Everett, a woman in science (11 March 2011) on the life of Alice Everett, one of the first women paid to work at the Royal Observatory, Greenwich. James Glashier, astronomer and death-defying meteorologist (26 November 26 2010) revealing how ROG employee James Glaisher had a near-death experience while studying the weather in a balloon. Charles Green, Royal Observatory Greenwich Assistant and stand-in Astronomer Royal (3 September 2010) on how ROG assistant Charles Green became a stand-in Astronomer Royal, and joined Cook on his first voyage to view the transit of Venus in Tahiti. Edward Walter Maunder and the Science of the Sun at the Royal Observatory (12 March 2010) looks at ROG assistant Edward Walter Maunder, his solar observation, influence on climate change research and the debate about life on Mars. Life behind the scenes at the Royal Observatory (28 January 2010) introducing the lives and work of the astronomical assistants at the Royal Observatory, Greenwich. The history of scientific photography at the Royal Observatory, Greenwich (30 October 2009) discussing the work of solar and astronomical photographers at the Royal Observatory, Greenwich, from the 1840s onwards. How Greenwich became the home of the Prime Meridian (13 October 2009) celebrating the Prime Meridian’s 125th anniversary, I reveal why Greenwich became its home. Moon-mapping history (4 March 2009) looking at the National Maritime Museum’s collection of globes and maps of the Moon. How to play Science and Sport, an astronomy board game (26 January 2009) talking about one of my favourite objects – an early 19th-century astronomy board game, in which the winner was crowned Astronomer Royal. ‘Conciatore’ is a new blog about the fascinating life and work of Antonio Neri, a man who lived four hundred years ago in Florence, Italy. He was at the same time an alchemist, a glassmaker and a Catholic priest and he worked for a prince from the Medici royal family. Neri is famously known as the author of the first book devoted to the subject of making glass (L’Arte Vetraria, 1612). He has often been considered a mysterious figure, steeped in the intrigues of alchemy and transmutation. On the other hand, he put great store in careful experimentation and research. As a contemporary of fellow Florentine Galileo Galilei, he experienced both the germination of modern science and the waning days of Aristotle’s four-elements. It was a time when art, religion, ancient philosophy and the pursuit of Nature’s secrets all went hand-in-hand. In late Renaissance Italy, the word conciatore was used to describe the specialist who refined the ingredients for glass and formulated the batch. In Neri’s case, this ranged from the celebrated Venetian style ‘cristallo’, to the swirling colors of ‘calcedonio’, to brilliant, sparkling imitation gems. The blog visits his family, his friends and his associates to form a picture of a complex man, living in an extraordinary time. After a decade researching Neri, I am anxious to share his story. I invite you to join me, where on a regular basis I will post details of his life, his work and his philosophy. I hope to draw you into his world, and perhaps convince you that in many ways, his time was not so different from ours.